Justin Bieber is a new man. The "I'm The One" singer posted a slew of random photos on Instagram on Monday, and one of them was a collage of stills from when he appeared in court via video in September 2014 for his DUI arrest. He was being held at the Turner Guilford Knight Correctional Center in Miami, Florida, at the time. More notable that the actual mug shots that he posted is the caption that accompanied them. "Mugshot #jailsnotacoolplacetobe," he posted. "#notfun#neveragain"
The singer calling jail "not a cool place to be" and saying it was "not fun" and that he'll "never" do it again is quite telling. 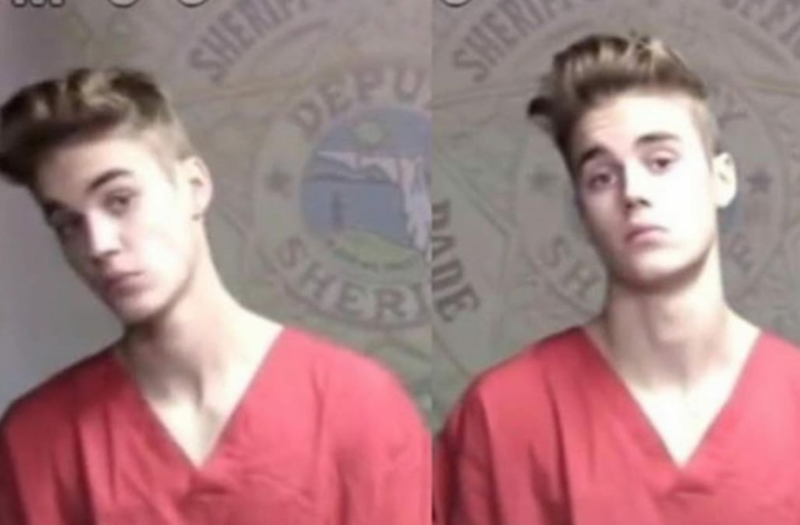 Bieber is clearly on the path to redemption after a troubling couple of years that saw him get arrested twice, in addition to a slew of other shocking moments caught on camera. Ever since finding a renewed Purpose with his wildly successful latest album, Bieber has seemingly been on the uptick, thrilling fans around the world during his Purpose World Tour. The religious star has come a long way from doing duck faces while posing for mug shots, stumbling out of clubs and drag racing sports cars in Miami, and we hope he can continue on his upward trajectory.